I have been a member of EGEA Trondheim since November 2013, and for the first time I had the opportunity to participate in an event abroad hosted by the EGEA Brno, an event that took place in the beautiful countryside of the Czech Republic. Before travelling to the Eastern Regional Congress 2014 in Zdaraz, I had the opportunity to explore Prague through Pre-ERC. First I would like to say some words about Prague. 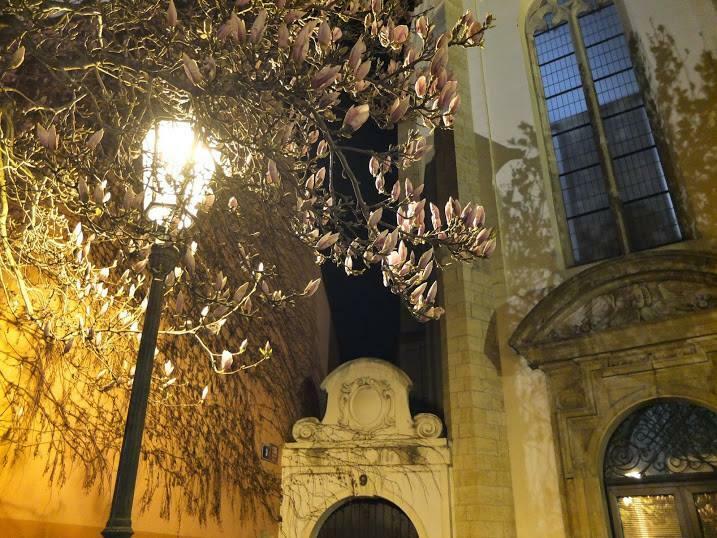 It was an amazing experience getting to know Prague through PRE-ERC. The people in charge from EGEA Prague had a very deep knowledge about Prague in so many respects. Not only did they inform us about the history and the general knowledge about the capital, but they had an amazing insight on the geomorphological building of the city. As well they gave us detailed information about its cultural and natural landscape. Our first evening started with an excursion in Prague. Our guide, who is majoring in geography at the University of Prague, took us around the city, giving us very detailed information about the city and its architecture, and the historical periods of the city’s development. The information tour was so good even the local residents claimed they learned a lot about their own city. The second day was equally interesting. We experienced Prague in daylight. We were assigned a city-quiz where we had to find places on the map, not only in very touristic places, but also amazing places a regular tourist normally would never find out about. Already on the second day I had the feeling I know the city very intimately, much more than I could ever feel if I visited the city on my own. At night we experienced another aspect of the Czech culture which the country is infamous for; the beer production. We went to a pub and we had the chance to experience about a 50 different types of beer. 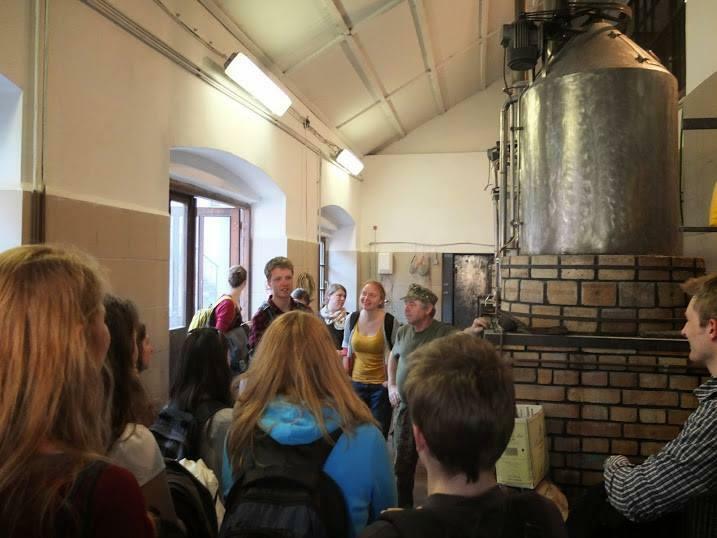 On the last day hosted by PRE-ERC 2014, we went to a village Křivoklát outside Prague. The village had a beautiful Křivoklát Castle, which was founded during the 12th century. It was our main goal for the day, and we had a tour there in a museum with rich collections of hunting weapons, Gothic paintings and old books. Thereafter we spent some time in the castle. In the evening we got to see the outskirts of the city. Being in the outskirts, we could see that people were more relaxed and the time went really slow compared to the life in the city center. At night we went to a brewery where we met the owner of the enterprise. This person was very dedicated to what he does for a living. He takes the greatest pride in what he does. For him, brewing beer is an art, and profits come second. This is something I feel one may not have encountered in the center of Prague. We could see the production methods he uses. He does everything old-style. Instead of using gas, he uses wood-fire, as they did hundreds of years ago. The next day we left Prague, heading for the main event of the tour. 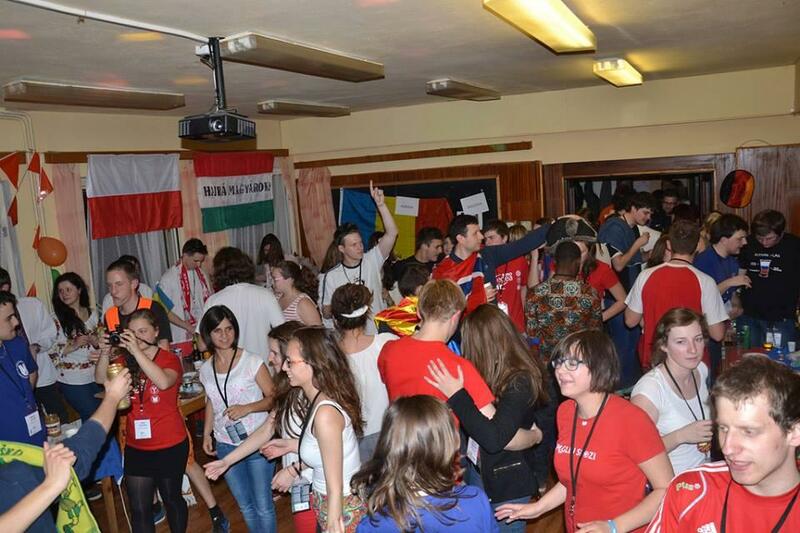 The first night I got to know more than a hundred people representing 16 countries and several tens of EGEA entities in Europe. As it was my first time participating I did not really know what was waiting for me. I met some very good leaders running the work-shop I was enrolled in, where the main theme was “Transformation through migration – Impacts on Societies”. I chose this topic specifically, because I emigrated from my own country, and had to learn to adapt to a new culture and environment. It was very interesting for me to learn about the processes and common denominators in other European countries. Being able to get first-hand information from people having experienced different processes in different countries was very informational. One thing is reading theory on the topic; another is getting to learn from people who know about the topic from experiences. If you have twenty individuals in the same room with this kind of knowledge you learn a lot in a very little time. It was also very interesting to learn about the processes running in Eastern-Europe (most of the participants came from this area), especially listening to those living in countries with right-wing influenced politics when it comes to immigration. Besides the work-shop we had other numerous activities. One of the days we want on an excursion, and we could choose from six options, ranging from geology and physical geography, to social geography. I chose to participate in an excursion that went to city Kutná Hora. Since 1995 the city center has been on the UNESCO heritage list. http://www.youtube.com/watch?v=9mWEho5-53U This is one of the oldest places in Europe where they used to have silver mining. As a consequence of the silver, one can find beautiful architectural buildings, including a St. Barbara’s Church in the style of a Cathedral. We had an underground tour of the mines, where we got a vast amount of information about the processes of production and local geology. After the tour we got the chance to see a church decorated at by human bones. This was a great experience, not only for me, but also for the Czech participants of the tour, as they experienced this for the first time in their lives. Another aspect of this trip I have to mention is the great educational experience which was enhanced by the Professors from the Masaryk University in Brno and Charles University in Prague, who hosted several great lectures in which I learned a lot. All in all it was a great experience, where academic learning was very well balanced with social happenings as for example Cultural Fair Party. Having met so many great people and being able to learn from so many knowledgeable individuals, this was one of the most amazing experiences in my life. I cannot do anything but recommend anyone who has not been on this event to apply in the future. Thank you so much, organizers from EGEA Brno and geographers from around the Europe for so interesting congress. Thank you a lot for giving everyone such a memorable opportunity to check tips from this blog. Neste Neste innlegg: Allmøte og styrevalg!